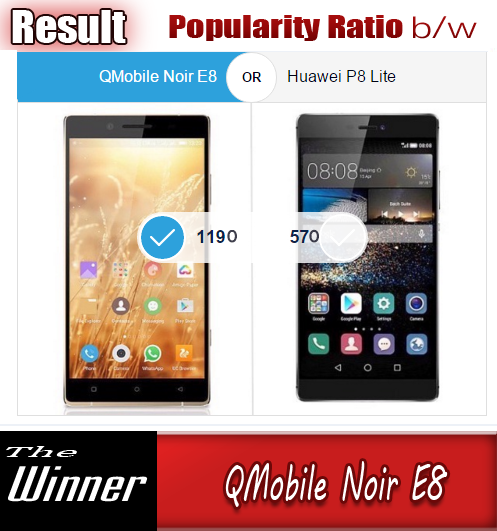 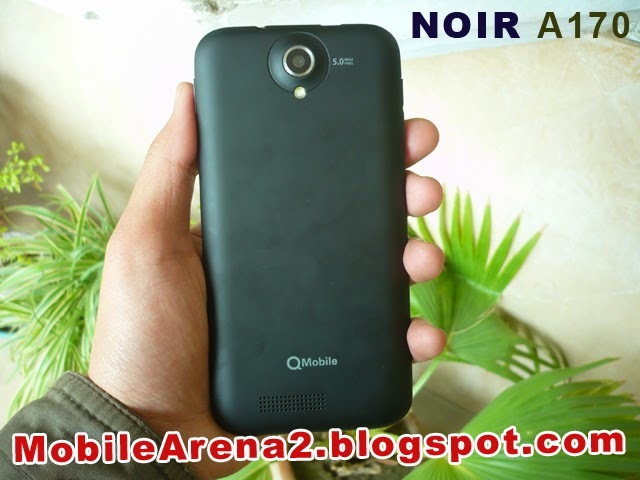 It seems that QMobile has decided to dominate on the Pakistani mobile phone market with full zeal and zest and the new NOIR A170 is a caution of this thinking. 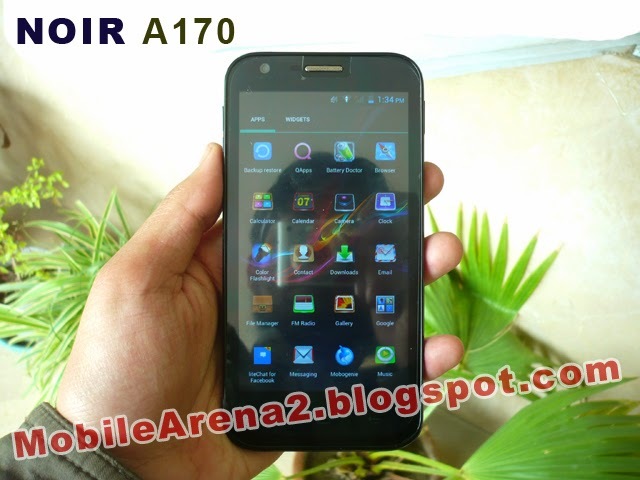 Well , NOIR A170 is a phone having attractive screen size of 5.0 inch. 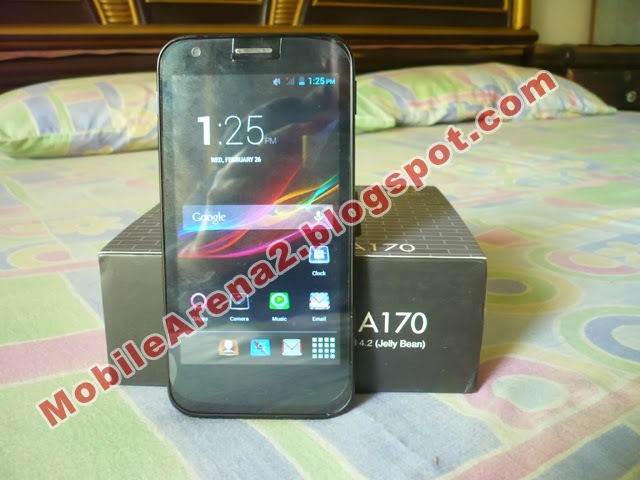 It is a dual-Sim phone that runs on Android 4.2 Jelly bean. 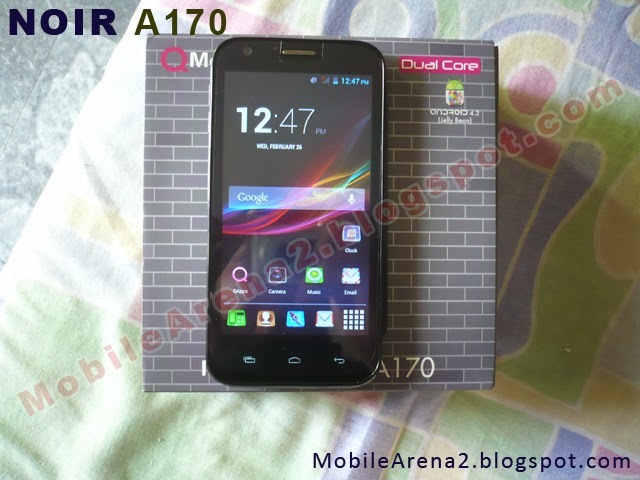 It has 1.2 Ghz Dual-Core processor and an oily display surface which provides you a new and smoother feeling when you tap on it. 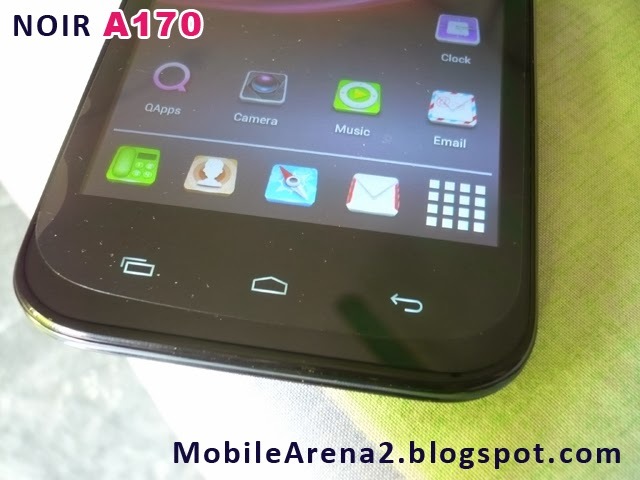 It has 3 capacitive buttons on front beneath the screen and an ear piece and a front cam upside the screen. 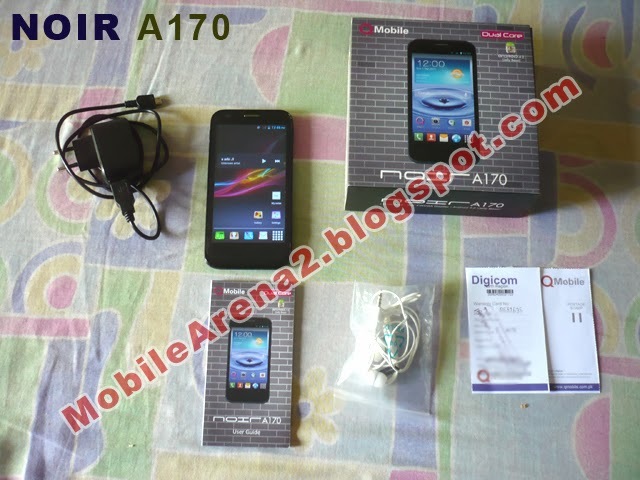 It has 5.0 Mega pixels auto focus camera on back with LED and speaker on lower left corner on the back. 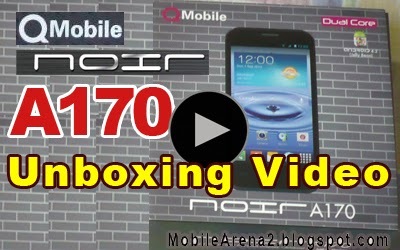 QMobile NOIR A170 Unboxing Video in Urdu from Bilal Saeed on Vimeo.